Doing your own mountain bike maintenance is a great way to really get to know your bike. Plus it will help your bike to last longer and save you money. You may need your bike maintained right away and don’t have time to wait for a local bike shop to do it. Also, no one will care more about your mountain bike than you will. I have collected together the top tips you need to get started on maintaining your bike. The way you check the headset of your bike is to put you fingers around the headset. Then squeeze the front brake and push the bike forward a bit and try to feel for any movement in the headset area. If you find that there is some movement then you know that the headset is loose. All you need to do is loosen the two stem bolts which are one one each side. Plus unloosen the center cap of your headset. Then tighten everything up and check to see that there is no more movement in the headset. Check the axles on your wheels, both the rear and the front. Your wheels can get banged around on the trails which can cause the axles to become loose over time. It is very unlikely but it would be quite an accident if one of your wheels came off. Tighten both axles, front and back. Tighten it using the lever that is on the axle, just make sure you position the lever in a nice safe place. The lever should not be hitting the frame. If it is a quick release system once it is tight fold it away so it will not get knocked of loosened. Most forks have the same system on them, but if your mountain bike has a pinch bob system then you will need to use an allen key in order to tighten up the axle. When checking the suspension begin with the fork. Start by pushing down on the handlebars. Make sure the dampener works the way you want it to. It should feel smooth and secure and be able to handle your body weight. Take a look at the stanchions and check to see that there is no excess oil on there. If there is then you have oil that is leaking. This means that the seals may be blown and they probably need replacing and servicing. Put your two fingers on the top of the stanchion seal and rock the fork back and forth. What you are looking for is if there is any clay in the stanchions. If there is then may be the bushings are worn out. They will need to be replaced right away. Now go to the back of your bike and check the DU bushings. The DU bushing is the little bushing that is inside the shock. Check it by going to the shock mounting. They usually wear out, you will know this because there will be a little bit of movement in the pivot mount. Put your fingers on either side of the mount and then lift up the bike slowly. If you can feel any movement in there then the DU bushing will need to be replaced. It is definitely worth doing and it is inexpensive to buy. If this is left loose for too long then this can damage the shock. In order to check the rear suspension put your elbow on your seat and push down on your bike with your body weight. Check that the dampening is working, and that it feels nice and smooth. Also, check that there is no extra oil on the shaft of the shock, otherwise it is blown and needs replacing. Check that your gears are indexing properly. You should run through your bike gears from the most difficult gear to the easiest gear. Make sure that they are changing gear nice and smoothly especially on the way down. If your gears are changing slowly on the way down then it means there is some stitching in the cable. It may need lubing or replacing, maybe both. Have a friend lift up your seat a little so you can run through all the gears going both ways up and down. When checking your bike chain first look to see that there are no stiff links. Do this by pushing the pedals with your hand and cycle through the chain to make sure there are no stiff links. Make sure the chain runs through the derailleur smoothly and that there is no gear slipping. If there is then you need to replace the chain before you ride again. You should also make sure to keep your chain nice and clean and well lubed. If you allow your chain to get dirty for too long it will wear out the cassettes and chainrings more quickly. These components will last longer if you keep the chain clean and lubed. You can also check your chain for wear by using a chain measuring tool. If your chain is stretched by more than 1/16th of an inch then it needs replacing. It is a good idea to change your chain regularly. This will help to make your cassette and chain ring last longer. An easy way to check your tires is by doing the traditional thumb check. Just push down on the tire using your thumb to see if there is enough air pressure in the tire. It should feel very solid, you should barely be able to push down on the tire with one thumb. You can also use a track pump also known as a floor pump along with an air pressure gauge. There are also high-end pressure gauges you can use which are digital and give you a very accurate number. You should also check over both tires to see if you find any slices in the tire or if there is any damage to the wall of the tire. You don’t want to blow out while you are riding on the trail, which may cause an accident. Check the tension of your wheel spokes. There might be a small buckle that needs to be paid attention to caused by your last ride. Use your thumb and first two fingers and squeeze two spokes toward each other. Check that they both have good tension. You want to make sure there is even tension throughout the entire wheel. All the spokes on a wheel need to be evenly tensioned. If there has been a strong impact on a wheel, it will cause a little dent in the rim and the spokes will become loose. You can use a spoke key and go through each spoke and make sure each spoke is evenly tensioned compared to all the other spokes. Don’t turn the spoke key too much, a quarter of a turn is enough to give the spoke enough tension. Pay particular attention to the back wheel because the rear wheel handles the most impact when you are riding. You will find most of the damage back there. The spokes will be the most uneven there in terms of tension compared with the front wheel. To check if your bottom bracket is worn grab the crank arms and rock them. Rock the cranks from side to side. If there is any movement in there then your bearings have been damaged. Another way to find out if the bottom bracket is worn out is to spin the cranks. Spin the cranks backwards and feel if there is any grinding or grating through the pedals. If this happens then the bearings need to be replaced. Check your brakes by first squeezing on the lever. You want to make sure that they feel nice and solid. Notice if they have a spongy feel to them or if they are pulling in towards the bar. If they do then the brakes need bleeding and flushing through. New brake fluid is needed. Next check the brake pads. Use your eyes and take a look at the pads and make sure there is enough pad there. Check that it has not all worn away. Especially if you ride in bad weather, pads can get worn away very fast. It is good to check regularly because if the pads are worn a lot it could damage the rotors. Finally check the rotors, do this by spinning the wheel and make sure the rotor is centered in the caliper and running through the caliper without rubbing the disc. If the rotor rubs on the disc that will cause friction and slow you down and make you work harder. Using a set of allen keys or torque keys check all the nuts and bolts on your mountain bike. You should start up at the top here by the handlebars and controls. Then slowly work from the top, front to back so you don’t miss anything. As you are tightening the bolts tighten them slowly. You don’t want to strip the inside of the bolt where you are turning it. If you do it makes it very difficult to loosen them if you need to replace them. Same with the nuts, don’t strip the nut or later it will be more difficult to grip it. You can use a torque wrench if you want to be specific about how much you are turning it. Many things have torque indications on them of how tight they should be. But usually just turn it until it feels firm but not really too tight is a good way to go. There are different types of grease and lubricants that you need to know about. You can’t just use one type for all of your lubing needs. Let’s begin with lubricants, there are basically 2 types, a wet lube and a dry lube. These two types of lubes are used on your chain. The dry lube is for summer weather conditions, simply dry weather. It is a very thin lubricant and it does not attract too much dirt and other particles which will cause your chain to wear out. A wet lube is for wet conditions, it is much thicker and viscous than a dry lube. It will stay on your chain even when it gets saturated with bad weather such as rain and snow. This is great but it will attract dirt, so you will need to maintain it more often. Generally when you need to use grease, you can use PTFE also known as Polytetrafluoroethylene, or you can use lithium grease. This type of grease is usually used on your bears and other moving parts of your mountain bike. You should not use this type of grease on carbon. If your seat post is made of carbon or the frame of your bicycle is carbon then use an assembly compound. This is a carbon specific grease which has particles in it which helps to improve its grip so you don’t need to tighten the bolts too much. Next are suspension based greases and lubricants. Inside the suspension forks and shocks are delicate seals which need lubrication. So you will need either a silicon based lubricant or a dedicated suspension lube or grease. There are different types on the market like Slick Kick and Float Fluid. It is worth it to look into these substances because a tiny bit of them goes a long way. You should also keep some spray grease like WD-40. You do not want to use the expensive grease on smaller jobs like pedal axles, and jockey wheels, which don’t have expensive bearings. One of the best maintenance tip I can give you is to use the right tools. You can’t maintain your bike without the correct tool for each job. Here are 10 which you should have. A cone spanner is a useful tool to have if you are going to do some hub service for your bike. You will need it to remove the hub axle system from your bike. If your bike does not have regular cone and cup bearings you will still need this tool to remove the end caps on the axle, in order to get to the cartridge bearings. It is a good idea to have a few cone spanners because they come in a variety of sizes. Eventually everyone’s chain will wear out and need replacing. This is especially true if you ride a lot in wet and muddy conditions. If you replace your chain on a more regular basis than the cassette, then you should be able to go through 2 or 3 chains for one cassette. This will save you money in the long run, but to do that you will need to check how worn your chain has become. When you use a chain checker, put the 2 pins into the chain and look at the scale on top. It will tell you how worn your chain is. If you have a 10-speed chain, then anything up to .75 is okay. Once your chain is stretched beyond .75, then you need to replace it. If you have an 11 or 12 speed chain, anything over .5 and you should replace the chain. If you are really serious about maintaining your chain then you need to take off your chain every so often. To do that you will need to remove the master link on the chain using chain pliers. All you need to do is insert the chain pliers into the master link and pull the 2 links together, then split the chain. Now you can degrease the chain, clean the chain, and then regrease the chain. When you are rejoining the chain be sure to do it correctly by using the right joining pin or master link. Normally mountain bikers have used a T25 torx which has a 6 point star shaped pattern. This was usually used to tighten bolts so the disc brakes attached to the wheels. But now we see more and more areas on the bike such as the rear mech, and the pivot bolt for holding the brake lever on to the brakes have more Torx solution available. There are now bolts which are only 3mm which make them very easy to round out. So you need that specific size. With a Torx multi tool you will have all the different sizes that you need at your fingertips. This tool is used for removing the cassette off of the bike. The cassette tool slides into the cassette and you hold the cassette still with the chain whip and then use an adjustable spanner to remove the cassette. You can use them for up to a 12 speed bike. You may need to remove and replace your bottom bracket because it is one of the first things that gets knocked around. It suffers from the full rotation of your pedaling and it is directly in the line of fire of your front wheel. In order to get the best grip, get a bottom bracket tool which is a fully enclosed style not the crescent style of tool. You will notice one end has the full enclosed grip and the other end has a wheel on it. This wheel is for Shimano cranks where you have got a little cap to pre-load on there. This tool is needed for replacing the valve core. It is also useful when you are setting up your bike to be tubeless. Valve cores do bend every so often. So it is a good idea to carry this tool with you on the trail as well as some valves with you. In the past you may have set up a tubeless tire with a regular pump, or you used a CO2 cartridge. Now there is a much easier and faster way by using a compressor pump. Compressor pumps are all basically the same. There is a track pump built into the unit and you have a secondary chamber which you charge up just by turning a knob or twisting a dial. Just charge it up, and then you can release all that pressure in one shot. It will inflate your tire all at one time. Once you try this you will never use other types of pumps again. The internal cable routing kit will save you time and frustration when fitting any kind of internal cable. This kit is basically 3 inner cables, each one has a different fitting on the end to attach the different style cables. Some are screw barbed ones, some are magnetic, and some have got a sheath style. Just put them through with its powerful magnet, join them up to the cables you are pulling, then pull it straight back through. A standard torque wrench consists of many bits which are contained within the handle of the wrench. There are torque settings built right into it. You will need this in order to do your major controls. These include you bar, stem, stem clamp, and your brake lever control set up. It is important to bleed your brakes at least once or twice a year. Doing this will improve your brakes performance. After enough time, dirt will get through your bike seals and contaminate the fluid. Flushing out the old fluid and replacing it with new fluid is needed for optimal performance. You are going to need a clean place to work and patience in order to bleed your brakes. It is not difficult but some attention to detail is required. You are just going to move new fluid down through the system by filling up a container at the top near the brake levers. Different bike’s have different brake bleed kits. So just follow the instructions carefully. Use the brake fluid for your brake. Some use mineral oil and others use DOT which stands for Department of Transportation. This is automotive brake fluid. Follow the directions and your brakes will be ready to go. Cleaning your bike will help it to last longer and prevent your bicycle components from wearing out faster. You can use soap, water, sponges, and brushes to clean your bike. Soap and water are environmentally friendly and inexpensive. You don’t need to use stronger solvents except when cleaning the drivetrain. In this case try and use a citrus solvent, and work in a well ventilated area. It is not a good idea to use a high-pressure sprayers. The high pressure pushes water into the bearings, pivots, and frame tubes, which can cause damage over time. If the bike is very dirty you can begin by using a hose and use your thumb to add pressure or reduce pressure. Just fill up a bucket with hot water and liquid dish soap. Scrub the entire bike and wheels with a brush. Rinse off the bike with a hose or wipe it down with a wet rag. Use a dry rag to dry off your bike, this is better than letting the sun dry it because it may leave streaks. If you want your mountain bike to last as long as possible and you want to prevent emergency repairs you need a maintenance schedule. You might think you need to do certain things every week or every month, but creating a schedule according to time is wrong. For mountain biking it is better to create a schedule according to how many times you have ridden your bike. 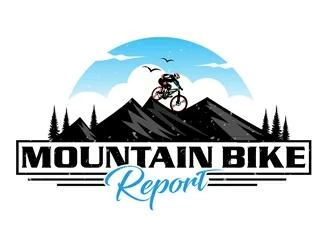 If you are a road bike you might make a schedule according to how many miles you have ridden, but this does not make sense for mountain biking because mountain bikers ride on trails. Road bikers usually ride in dry, clean, flat conditions. Mountain bikers ride in all types of conditions depending on the trail they are on. So it makes much more sense to base a maintenance schedule on the number of rides rather than the amount of mileage. Mountain bikers should do maintenance before every ride and then again after every ride. Then after every 5 to 10 rides more maintenance checks should be done. After this, every 20 to 40 rides other maintenance checks need to be performed. Checks should be done after every 80 to 150 rides. The only time, time is used as a measurement is after 3 to 6 years. Then certain parts of the bike should be replaced. In order for this schedule to work, keep a notebook or use a computer to keep track of everything you have maintained and done.